Gina Brandstetter's blog you're on the right path. Just keep clicking on the links in each post to hop along! 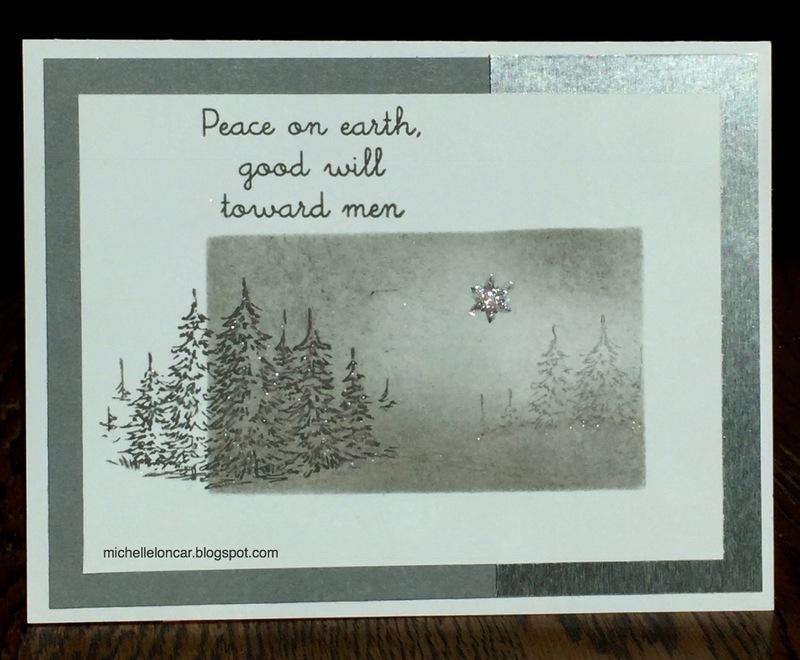 My card is in non-traditional colors....which is my favorite way to go with Christmas cards. I cut a stencil with my paper trimmer for the rectangle. 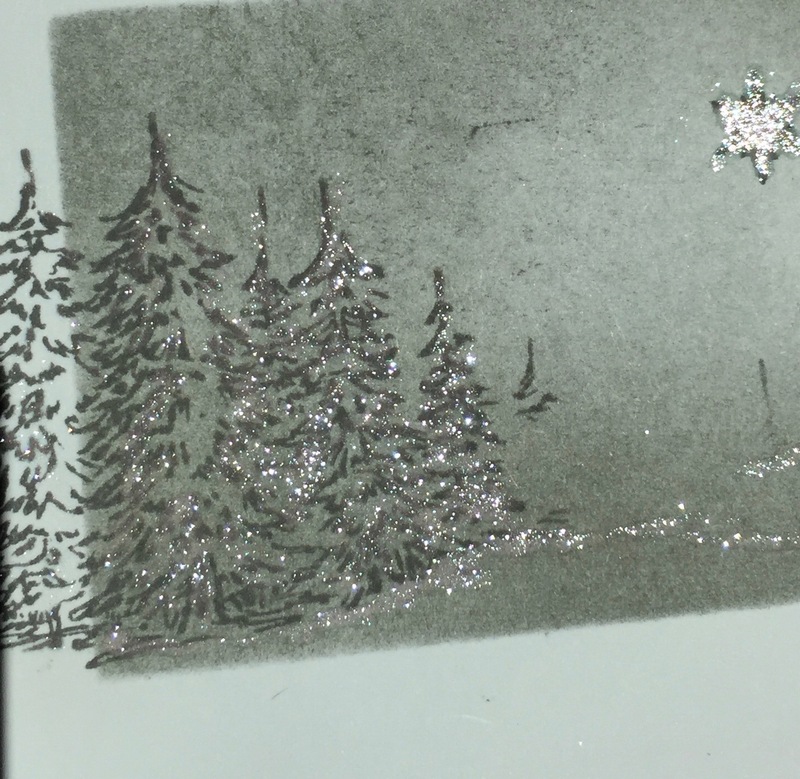 I sponged with Pewter ink to create the background for the trees. Leaving part of the rectangle lighter gives depth. 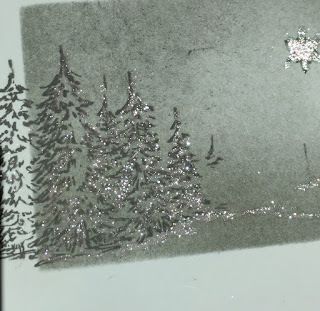 Then I just stamped in Charcoal ink and added some Clear Shimmer Brush for a frosted, snowy look. The layers in the background are Pewter on the left and Silver Foil on the right. The foil doesn't photo well. Now it's time to hop over to Krista Hershberger's blog for more inspiration. Love the use of the stencil. 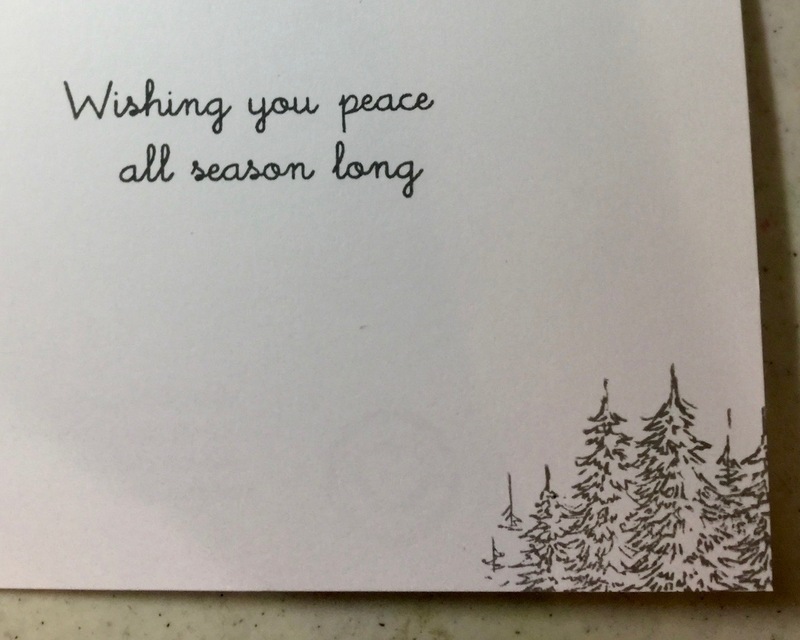 Your card looks so wintery. GREAT! Oh, wow! What a terrific idea! Your winter scene is fabulous. (I totally understand the struggle with photographing foil paper...) STUNNING card! Very pretty, I love the nature scene cards but I am so not good at them at all, I love it! Breathtaking! This card is stunning. Thanks for giving some tips for creating the background. So pretty!! 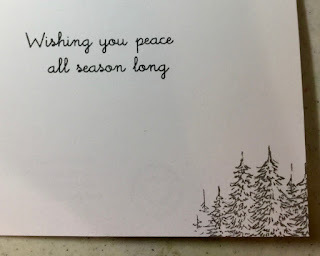 So smart to use Nature's Wish for a Christmas card...beautiful!